If there were such a thing as the prog rock Oscars, 2016 would be a fairly fruitless year for every group that isn’t the Neal Morse Band. 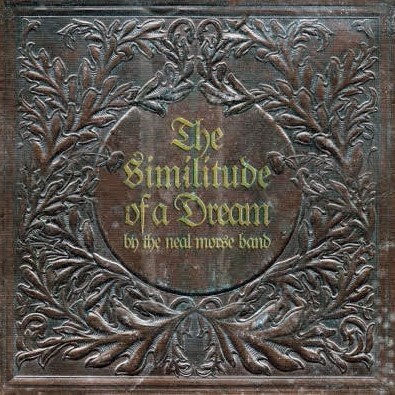 ‘The Similitude Of A Dream’ is a double concept album that’s as grandiose and intense as it is subtle and playful. It’s Ben Hur. Following last year’s ‘The Grand Experiment’ should have been a daunting challenge, but Morse, Mike Portnoy, Randy George, Eric Gillette and Bill Hubauer displayed such a supernatural chemistry on their debut as a fully fledged band there was little doubt the quintet’s return would be equally strong. As with that exceptional bow, there’s an imperious dynamism to this record that stems from them working together as a creative team and not just serving as Morse’s backing group. From the rotating cast of lead vocalists to some magnificent harmonies, a waterfall of magical melodies and stunning instrumental textures, everything that made ‘The Grand Experiment’ such a success has been used as a launch pad to further explore the conceptual cosmos. Based on the first part of John Bunyan’s 17th century work The Pilgrim's Progress, ‘The Similitude Of A Dream’ unfurls an allegorical narrative about a man named Christian (get it?) who embarks on a perilous dream-state journey from the ‘City of Destruction’ to the ‘Celestial City’ atop mount Zion. Its unsubtle religious references won’t appeal to those who finds such sentiments cloying, but instead of slavishly following the text or preaching, Morse has given the tale a modern day makeover, depicting the character’s spiritual quest through stylistically diverse songs that, thanks to recurring thematic motifs introduced on the soaring Overture, cohere masterfully. City Of Destruction is heavy, aggressive and fittingly bleak, the tear jerking Breath Of Angels sumptuously ethereal, while Freedom Song’s renaissance folk will be adored by Ritchie Blackmore. Led Zeppelin’s Black Dog is also resurrected as powerhouse rocker The Man In The Iron Cage. Not that anything here is easily categorised or predictably structured. Draw The Line’s funky and fiery riff breaks down into a cool jazz number with echoes of Steely Dan. The Ways Of A Fool recalls ELO, the Beatles, Queen and Kansas as it takes us through a wondrous landscape of ‘70s melodies and The Mask’s classical piano dance seamlessly turns into a dramatic semi-industrial number with a weirdly cool squealing groove. These 23 tracks are shorter than Morse’s usual fare and there are no prolonged epics, but from the ephemeral mistiness of The Dream to the shock and awe of The Battle, each boasts at least one sumptuous hook that makes them memorable in their own right and crucial to the record’s overarching flow. It may be over 100 minutes long, too, but an endless array of instrumental flourishes help to keep things fresh and entertaining. George’s bass break on the exuberant I’m Running is brilliant, while Gillette’s technically precise but passionate lead playing, along with Hubauer’s magnificent retro-futuristic keyboard bursts and Portnoy’s mesmeric drumming, are a delight to behold. Their work is complemented throughout by beautiful strings, saxophones, horns, a gospel choir and much more. Portnoy's initial reticence at releasing a double record this year eventually gave way to the belief that this LP could stand alongside Pink Floyd’s ‘The Wall’ and the Who’s ‘Tommy’. Duly, ‘The Similitude Of A Dream’ will certainly delight prog aficionados with its loving references to some of the genre’s most iconic releases. But does it live up to them? Well, the story isn’t particularly compelling or surprising and loses its lustre pretty quickly, but musically it’s a bona fide magnum opus. Of all the double concept albums released this year it’s definitely the most, dare we say it, astonishing. 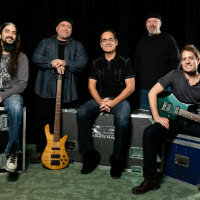 Click here to compare & buy The Neal Morse Band Tickets at Stereoboard.com. The Neal Morse Band will return to the UK next spring.